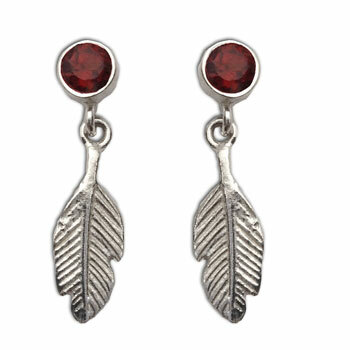 Fine feather stud earrings with Garnet gemstones. Garnet is associated with the root chakra to promote strength and patience. The feather assists you in finding direction and guidance.